If you use Mozilla Firefox, this useful plugin will allow your searchbar to also be able to query WWWJDIC. There are two types of plugins available at this time. 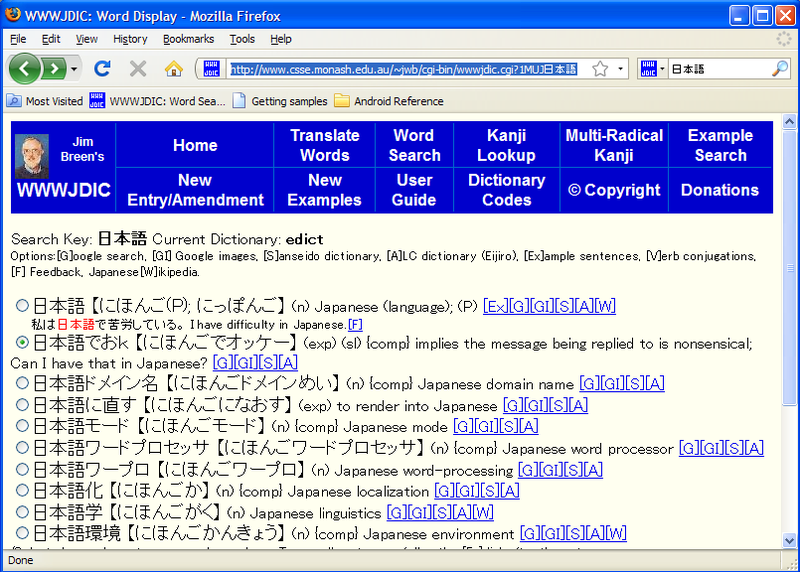 One allows you to query in kanji/kana/romaji (JA), while the other one lets you query in English (EN). Yay! It worked. Have fun, hope this helps. Drop me a line if you have any questions/comments on this plugin. In the first textbox, put a description of what the URL searches. 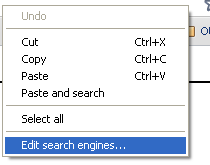 In the second textbox, put a keyword that will be used as a prefix when searching from chrome's omnibar. In the third box, paste the URL you copied from above. You can now close the options tab. Remember the keywords that you gave it. 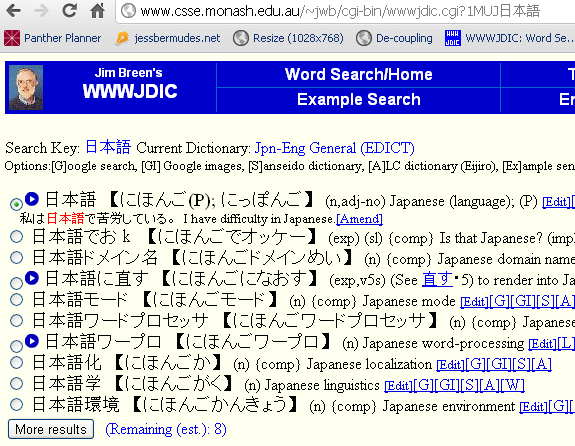 I assigned the Japanese text search to "jdic.ja", and when I typed that in and pressed space, followed by a query, chrome knew I wanted to search that site. A word of warning about Google Chrome and Japanese fonts: It seems that chrome doesn't know how to render the Japanese variants of kanji, and opts to draw the default Chinese versions. You can test if your browser is doing this by going to this Wikipedia page and looking at the table. For each character row, each column should look different. If they all look the same, bug! Unfortunately the Chrome team is waiting for a fix upstream from the webkit team, so I do not know when this will be fixed, but they've known about this issue for a few years now. It's pretty annoying. In the meantime, I prefer to use firefox for reading articles in Japanese.